Curious about your Twitter statistics ? Who should I follow…who don’t ? Who is a big influencer in a area where I’m interested in ? 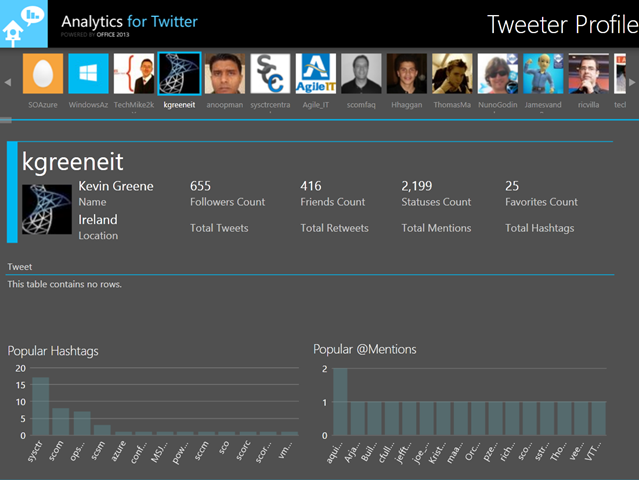 The new Twitter Analytics for Excel tool provides you the ability to analyze five Twitter handles at a time, analyze all results in summary tab, view top posters, and conduct drill downs on specific tweets. Twitter is one of the most popular marketing and news channels for businesses, and its popularity continues to grow. Extended Results has teamed up with Microsoft to build the ultimate add-on for Microsoft Excel and make it available to you as a FREE download! 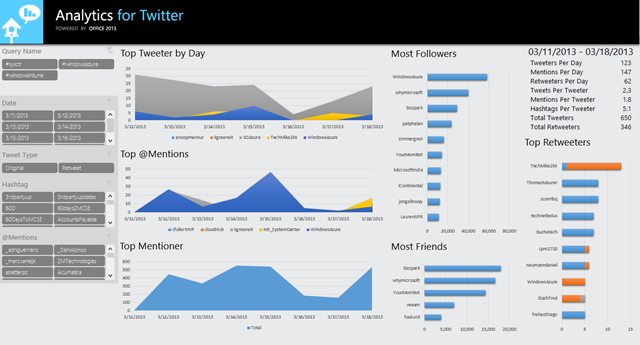 Since most everyone already has a copy of Excel 2010 or 2013, we thought Excel is the best place to do your Twitter insights. Well, now you can do it with a tool you use everyday and it is FREE. With the release of Excel 2013, we decided to revisit our previous solution and update it with a new interface and functionality only found by using Excel 2013. And what did we discover? Application dialog (displayed above) showing the data/content being pulled. 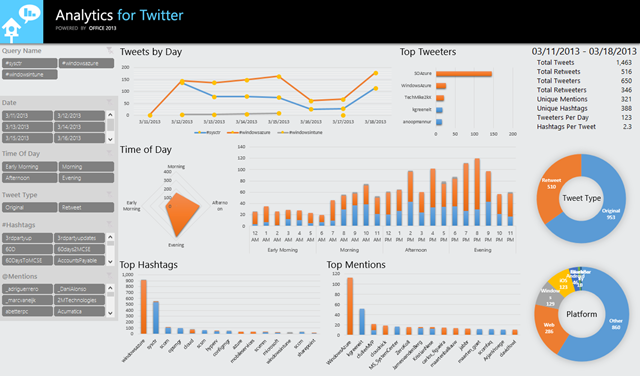 Summary – identify key topics and mentions, frequency of tweets by time of day, and top tweeters. 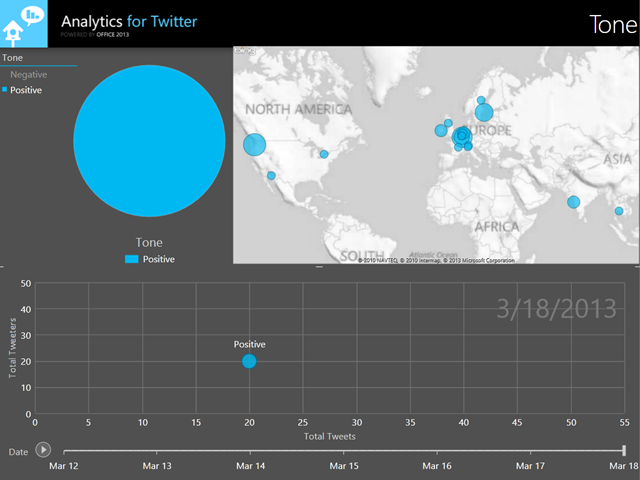 People – insight into the key tweeters for your search queries including mentions and retweets. 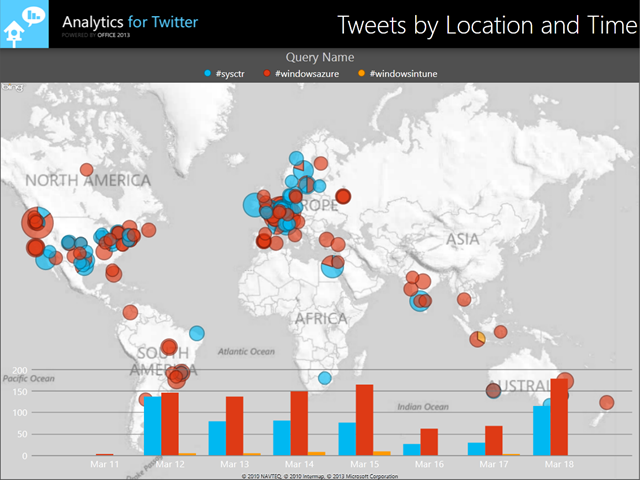 Tweet Map – a map of where are your tweeters are located and a distribution of when they tweeted. Mentions – the most talked about tweeters for your search terms. Tweeter Profile – explore details about tweeters and the most talked about tweeters for your search terms. 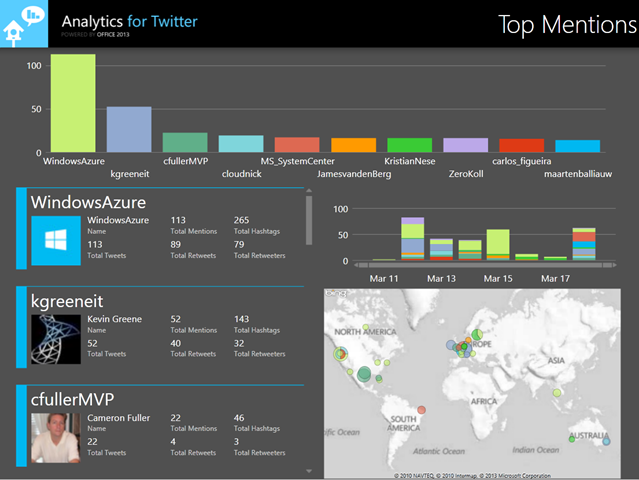 Twitter Analytics For Excel is available for both Excel 2010 and Excel 2013. Besides Twitter Analytics, Extended Results provide a broad range of social media and BI solutions like Face book Analytics and LinkedIn Analytics. Visit the Extended Results website to see their great product portfolio. Thanks to Kurt Shintaku’s Blog which pointed me to this great free tool.